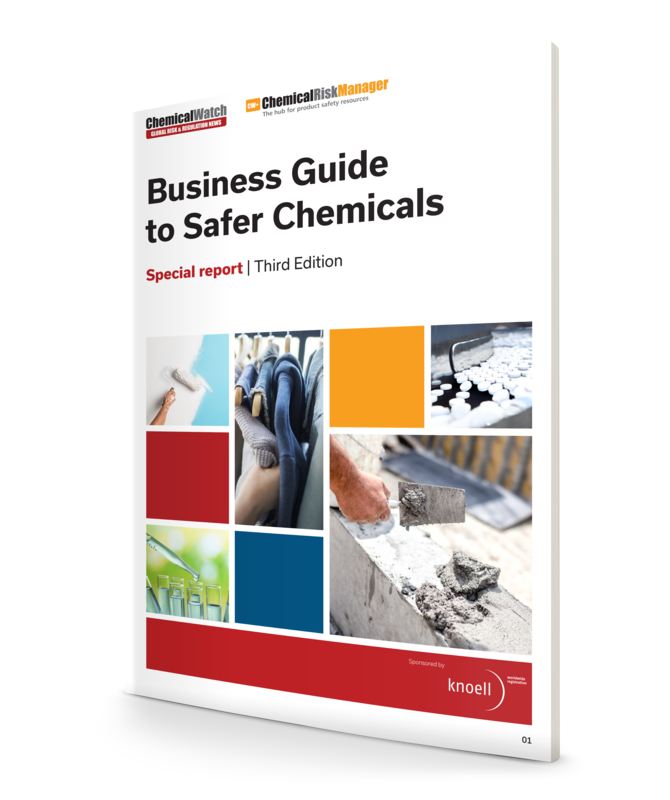 The Business Guide to Safer Chemicals, Third Edition provides insight into and analysis of the state of safer chemicals in products, covering the latest developments on the practice of assessing alternatives to hazardous and risky chemicals in products. It sets out current approaches, developments to already established practices and provides a number of case studies. These illustrate current industry experiences, practices and the key challenges faced. ‘Regrettable substitution’, where one unsafe chemical is replaced with another, is a critical business issue for companies. It is essential for them to understand what approaches, initiatives, tools and support there are to successfully substitute chemicals of concern. The practice of alternatives assessment is evolving quickly and this report will help keep you abreast of the current state of play. Chemical Watch would like to thank its sponsor, Dr. Knoell Consult for its participation in the release of this new report.